This is Nahko and Medicine For The People playing a moving and high energy set on the Mojo stage of the Byron Bay Bluesfest in Australia. They are a world music collective which blend Reggae, Dub and Hip Hop with a message of humanitarian and environmental harmony. I got hooked of their tunes a few weeks before the festival thanks to a 2016 Bluesfest playlist which had been assembled on Pandora. The stage performance confirmed this is a special band worth checking out. AMAZING PICTURE! 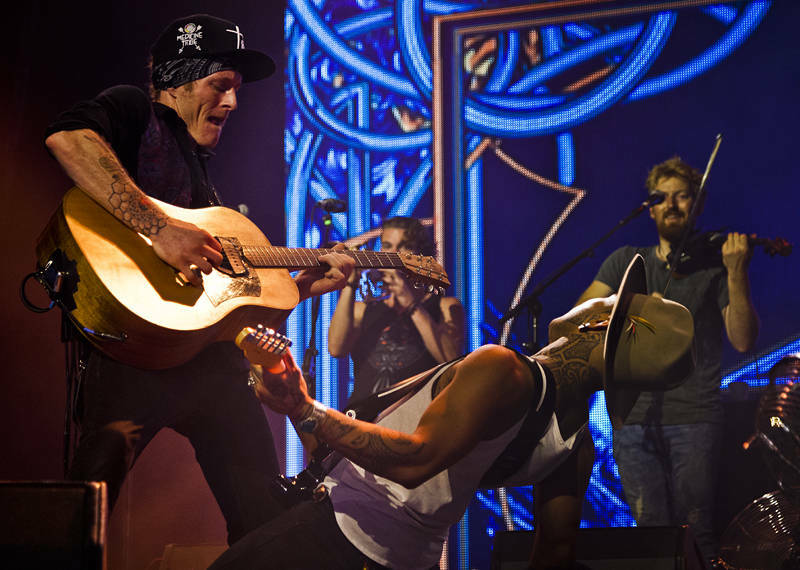 One of the best I have seen of Nahko and Chase! WELL DONE! WOW!